LAS VEGAS — The Consumer Electronics Show, the biggest tech show in the world, hit a snag Wednesday when the lights went out in part of the Las Vegas Convention Center, leaving both techie humans and their robots in the dark. The lights went out here shortly after 11 am on the second day of the show. Power was restored a little more than two hours later. The Consumer Technology Association, which runs CES, tweeted that it was an "isolated power outage." They did not offer an explanation for what caused the moment now known as #CESBlackout. 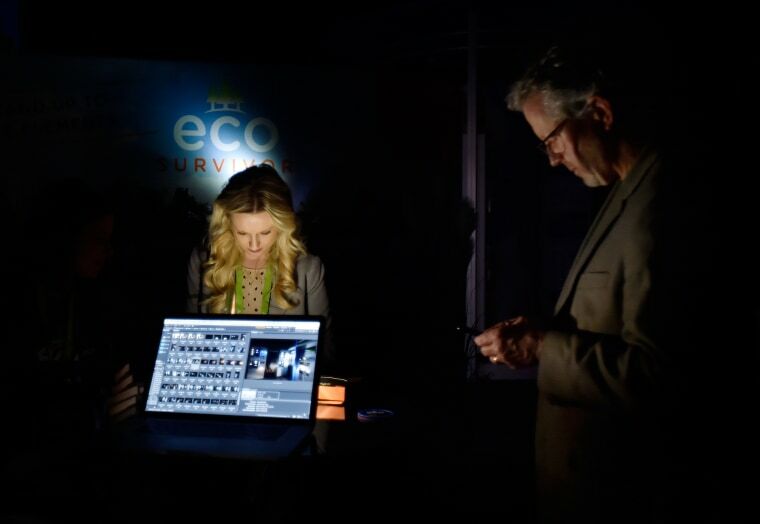 After the lights went out, some attendees turned to their smartphones to light the way as they continued to check out new tech products at the exhibitor booths. Outside, security cordoned off the entrances to the North and Central Halls, declining to let any attendees enter the building. Those who had been inside during the outage continued to trickle out more than 30 minutes after the lights went out — with one security guard telling NBC News that people were being asked to leave. Of course, the highly unusual, and ironic, event prompted plenty of people and brands to light up Twitter with jokes about the #CESBlackout2018. CES is now in its 51st year. The technology show is covering 2.7 million square feet in Las Vegas and is scheduled to run until Friday.